warranties at £590, so the total invoice price will be £5,290 plus an admin fee of £89. Can the dealer make us have the warranty if the car is advertised at £4,700? Refer this to the Advertising Standards Authority. If the extra costs are hidden, then the advertisement is misleading. If the advertisement clearly states that the car is only sold with a 36-month warranty at an additional £590 plus an admin fee of £89, then the dealer can charge that and can refuse to sell the car for £4,700. Dealers have a liability for any significant fault that could have been present or developing on the car on date of sale for 6 months from date of sale, so he is attempting to cover himself. But, in fact, an insured warranty cannot cover any fault that could have been present or developing on the date that the warranty was sold or else that would be insurance fraud. Brake fluid can be tested for moisture content. Testing for contamination caused by corrosion due to the moisture in the brake fluid is another issue. Service managers are incentivised to suggest additions to the standard service as part of the dealer's income stream. What's really scandalous, though, is that when an owner sensibly asks for a 10,000 mile or annual oil change, this can be quoted at anything between £250 and £400 on Audis and BMWs. That's for a job that should actually cost no more than £50 - £75 using the best fully synthetic oil and an OEM filter. I may have the opportunity to purchase a 2013 BMW 120d xDrive with leather upholstery. It has been the pride and joy of the owner, full service history and immaculate in all respects. My only concern is that the car has only covered 12k miles in over 4 years. Am I right to worry that the very low miles could lead to expensive problems later DPF, or other pitfalls with a 2.0 litre diesel and 4-wheel drive? Any guidance would be helpful. If I am being too cautious, and it would seem to be a sensible buy could you give me a ballpark figure that would be fair to the owner in a private sale. xDrive 4-wheel drive great to drive but is high maintenance. All tyres need to be the same and kept within 3mm of each other in wear or it confuses the system that then interprets the difference as slippage. Low mileage isn't good either, but it depends how those miles were driven. If they were all bimbling about the burbs then bad news. If they were long drives then a lot better. Another question is BMW's dodgy service regime that can mean its cars don't get an oil change for 20,000 miles or even for as long as 3 years. My view remains that every engine needs an oil and filter change at least every year or every 10,000 miles whichever comes first. So be careful with this one. We have just returned from a holiday towing a caravan with our Toyota Landcruiser to Abbey Wood in London. We used part of the M25 heading towards Dartford Bridge, which is now a ‘Smart’ motorway. I am not at all convinced of their safety in the event of a breakdown in lane 1 (the former hard shoulder). Could you please offer any advice as to what we should do in the event of a breakdown on such a motorway? There are refuge areas at certain points. but I do not know how frequent they are. It may not be too bad if we could limp along to one of these refuge areas. but what happens in the event of total mechanical failure? I know we should get out of the nearside doors and move away over the barrier if possible. Presumably switch on the hazard flashing lights. The overhead cameras will know we have broken down presumably? If so, how quickly do they respond to close off this lane? Any advice you could offer would be gratefully appreciated. There are cameras every 100 metres that spot a breakdown or crash and automatically activate lane closures and 40mph speed limits for more than a mile before the stranded vehicle. They are safer than the hard shoulder. Highways England has just opened a Smart section of the M60 in greater Manchester. The oil seals and clutch of our 2013 Ford Fiesta Powershift automatic were replaced under warranty two and half years ago and until recently there had not been an issue. However, I drove the car a few weeks ago and noticed that there was judder from the transmission at low speed. It has been back to the Ford dealership who supplied the car and where it is serviced and they have advised that the oil seals and clutch need replacing again at a cost of £957. The dealership has made an outside warranty claim but this has been rejected by Ford as the car is now 5 years old. Needless to say, we are both very unhappy that the problem has returned and in such a short period of time and that Ford is being unhelpful. Is there a known problem with the automatic gearbox? And is it wise to trust the repair to an independent repairer who is able to do the work for almost half the dealership price. This has not endeared us to considering buying another Ford when the car is next renewed. My wife and I recently parked one of our two cars on a private car park in Blackpool; one which we have used several times per year over a number of years. After parking I went to the ticket machine and attempted to put my money in for the number of hours parking as usual. It would not let me, but then I noticed that it was asking for my registration number. I put in the number, then the coins and was duly issued a ticket. On putting the ticket in the windscreen I noticed that I had inadvertently put in the registration number for my own car and that day we were driving the car normally used by my wife. I wrote on the ticket, ‘put wrong reg in by mistake’ and then hand wrote the correct registration in, left the ticket on display in the windscreen as per normal and off we went. I returned and drove away within the timescale paid for. A few days later I received a Parking Charge Notice demanding £60 if paid within 14 days by and £100 if later. I wrote a letter of appeal to the company, apologising for having made a mistake and asking them to reconsider. I supplied a copy of the log book for both vehicles registered in my name. HX Car Park management replied to say that in their terms and condition there was a number to ring if a mistake was made to resolve the issue on the day, and I therefore had parked the car outside of their terms and conditions. I am incurring the same penalty as if I had parked and not even bothered to purchase a ticket. I parked, bought and paid for a ticket in good faith, then made a mistake with the input. It should not incur the same penalty as if I had not bothered to pay. I accept that the company has incurred costs due to my mistake and am prepared to offer reasonable recompense of say £20 to cover these costs. They have offered to extend the £60 option for a further two weeks if I choose to pay, or I can go to arbitration with the independent appeals service and, if I lose, the full charge of £100 would be incurred. There are also a number of threats regarding court action and debt recovery services. As they had a fall back system of contacting their head office when I made the mistake, am I wrong in feeling aggrieved by this and not reading all of their terms and conditions in the rain, or should I just bite the bullet and pay up, despite being an honest citizen who actually paid to park my wife's car and have a ticket to show for it. It’s a venal automated system that recorded the reg you put into the machine, then checked it against the car as it left. No humans involved. Just pay. It's daylight robbery but has the force of the Supreme Court ruling behind it in Beavis v Parking Eye, November 2015. A Private Members Bill is currently with Parliament to outlaw such practices that are obviously calculated to catch people out and exploit them, but, as things stand, by the letter of the law, you have no way out. My recent experience of total loss claims and their outcome does not match your reassurance headed “Rough Justice”. I agree the theory, but it is the means of getting to the actual payout that I question. The process boils down to:- On opening negotiations, it soon becomes clear that the insurer’s claims department relies upon the 3 published guides of CAP; Glass’s; Parker’s. 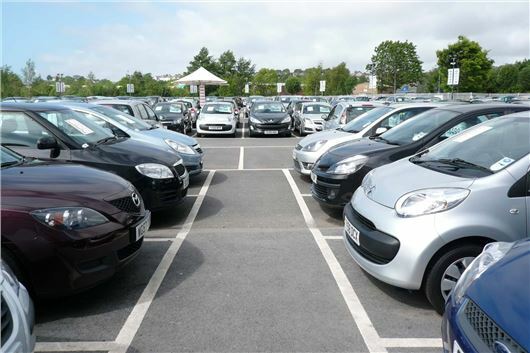 All rely on data of prices obtained at the car auction sites: notoriously capricious and far from retail sales. Parkers admits that it then applies its own ‘clever’ algorithms to arrive at its published guide prices. I assume the others do likewise. It seems no attempt is made by the guides to check these prices against those actually paid in the retail market matching the detailed circumstances of actual transactions. If you then punt the market and find you cannot buy a vehicle matching the deceased condition and circumstances then you run into the brick wall. If you go back to the claims department, they will tell you that your next point of appeal is the Financial Ombudsman Service who, they tell you, will do no more than take the average of the guides and determine accordingly. If you are still not satisfied, it’s off to the courts, which is expensive, messy and long-winded. I gather that the FOS will not go out to check the market, nor enter into any meaningful detailed investigation of the actual case under review. It is just takes the average of the 3 guides: all quick and dirty. From recent reports and I think a BBC Watchdog item, the FOS is very short of staff. It has a huge backlog of cases, so appoints whoever it can get and pushes them into the adjudicating process very quickly. The FOS is keen to reduce the case backlog, which staff are instructed to do as quickly as possible. If you take on staff ill-trained and lacking aptitude for the sector to which they are appointed and instructed to apply rigid rules rather than adjudicate fairly between the parties according to actual facts, then assuredly “Rough Justice” will result. In my case, I could not find on offer any car matching my spec/circumstances that I could buy for the offer made, so ended up getting a 6 month older car. 'CAP' ('Current Auction Prices') and Glass's are both trade price guides. BCA's and Manheim's composite auction prices are not “capricious” (your word); they are extremely accurate and up-to date to the day, based on a system devised by Alan Cole many years ago. Parkers is a consumer price guide, not a trade guide. 'Market Price' is not dealer price because a dealer price includes preparation of the car and an implied 6 months warranty thus providing a degree of betterment. There is nothing to prevent the public buying at BCA auctions or Manheim auctions, which is where all the cars purchased by webuyanycar and wewantanycar are sold and which are generally in the sort of condition a car would be before it was subject to the incident that made it a total loss. Or you could buy privately, giving the vendor slightly more than webuy or wewant would pay, but slightly less than the price the car would make at auction. If you want ‘return to invoice’ for a written-off car you need to take out additional GAP insurance. My son has drawn my attention to one of your columns in the Daily Telegraph in which a man reported his Skoda Fabia petrol-fuelled car as having started to over-rev. Mine, new last December, has just written itself off by doing just that. Is this a fault that needs looking into? The car had been parked on the third floor of the multi-story car park at the Ashley Centre, Epsom. Having shopped in M&S I took the shopping in one of their trolleys to the car, but then found that the other M&S trolleys were stacked in such a way that I could not reclaim my £1 coin from my trolley. This distracted me, so I forgot to pay for my parking token on that floor. I got into my car and drove it down to ground floor level. Arriving at the departure gate, the gate didn’t open, and only then did I remember I hadn’t paid. There were no other cars checking out, so I reversed, and drove over to the left to park my car in a section marked “Private Parking” while I went to pay at the ground floor machine by the office. Having done that, I returned to the car, fastened my seatbelt and switched on. Then I started a multiple backward and forward manoeuvre to turn the car about and get it positioned so I could drive out and re-enter the departure lanes, bounded as they are by concrete curbs about seven inches high. After a few backward and forward movements, carefully carried out as there were several cars parked in there, I noted the engine revs sounded unusual, in that they were quite high even when I had my foot on the brake while changing the auto gear from forward to reverse. Having paid my parking token, I knew there was a time limit after which it would not open the barrier at the exit, so there was pressure to get the car into the departure lanes before the payment on the token expired. I still had at least one more shuttle to do to get the car properly turned round. I put it in forward gear and whoosh! It shot forward at speed, taking me over first one, then two, of the concrete inter-lane pavements. Heading towards a concrete pillar, I slammed on the brake and put the car into reverse. It leapt backwards, reversing its rear nearside corner into another concrete pillar. Heading forward again, it finally stopped wedged with front wheels on one curb, rear wheels on another, straddling at 90 degrees to the way it should have been facing in one of the lanes by which cars drive out of the car park. The car park attendants were there in a trice. Having checked I was alright, one placed cones to stop other cars entering that departure lane, while another put sand down in the car park’s entry lane (which I had crossed before reversing) to allay the effects of the water and oil spilled from the car’s radiator and sump. When the AA man arrived at about a quarter to seven, he started the car’s engine on numerous occasions to get the car to move from its position across the lane, with the view that it didn’t matter what damage it would do to the engine running it without oil or coolant, on the basis that the damage looked to be so severe the car would be a write-off. It was such a hassle to get it in position and then attach it to the AA van’s towing trolley, it was after nine o’clock before we drove off. The AA man had been instructed to take the car to a garage in New Malden, where it was left overnight. The following day my insurers, LV, arranged for the car to be taken to Russell Parry ARC Ltd/Fix Auto of Chessington. Russell Parry telephoned me this morning, 12th June, to tell me that LV had declared the car a write-off. I have yet to hear from LV. If you left foot brake an automatic while manoeuvring this can never happen because you always remain 100% in control all of the time and can stop the car within inches. Loss of control from manoeuvring automatics using only the right foot kills about 20 people a year in the UK alone in addition to the huge amount of damage it causes. Good advice, but unfortunately the position of the brake pedal on many automatics is clearly designed for right foot operation. Perhaps the manufacturers are missing a trick here. Yet another driver of a automatic car thinking the car is at fault. When I worked in a car bodyshop I recovered autos from all sorts of places including someones back garden but they had gone through the house to get to it. As Honest John keeps saying if you keep your left foot on the brake hard the car cannot take off like this it is the drivers not in control of their vehicle. Let's be clear: HJ is assuming that AB from Epsom is an old duffer who has stamped repeatedly on the accelerator, mistaking it for the brake. Maybe he's right; but AB insists there was a fault with the car. What's certain (IMHO) is that a cohort of older drivers of automatic Hondas, Skodas & Kias trying to belatedly convert to left-foot braking would lead to untold mayhem. To be fair, there's a range of opinions on this; but it invariably strikes a nerve with Honest John. Wonder if HJ's advice on LF braking still applies to drivers who regularly drive both a manual and an automatic ? An old(ish) duffer now, but I experienced the same thing over 25 years ago in a VW Jetta 1.8 auto. After having a near miss with it, I went to a nearby abandoned factory carpark and tested the car out; with the car in drive or reverse, and my feet off of the pedal, it would surge to over 20mph as soon as the brake was released. It made parking very hairy. Over the years I have driven* a couple of other autos for work, but none of them acted the way the Jetta did; I did wonder if it is a small car/auto box issue, as the other cars were all much larger/heavier. *Driven, but never owned, I am a manual driver and refer to the autos as "Bathchairs". An old(ish) duffer now, but I experienced the same thing over 25 years ago in a VW Jetta 1.8 auto. After having a near miss with it, I went to a nearby abandoned factory carpark and tested the car out; with the car in drive or reverse, and my feet off of the pedal, it would surge to over 20mph as soon as the brake was released. It made parking very hairy. Over the years I have driven* a couple of other autos for work, but none of them acted the way the Jetta did; I did wonder if it is a small car/auto box issue, as the other cars were all much larger/heavier. *Driven, but never owned, I am a manual driver and refer to the autos as "Bathchairs". That doesn't sound like a very good 'inherant design feature' does it. I thought that the whole point of auto boxes was that with input on the pedals, all they'd ever do is creep forward (or backward if in reverse) at 1 or 2mph tops - that's why I was considering buying one last year as my then drive to work included a portion of very heavy, slow-moving traffic (my existing car's clutch wore out as a result). Its clear by the fact the car 'shot' forwards and backwards that AB had their foot on the accelerator and not the brake. And if you cannot convert to LFB, you should be driving. You WILL kill someone. Ford Kuga now has a TC autobox! I've driven auto's for years, and remember my Police driving training, much of which was only valid for older vehicles, I'm now somewhat decrepid and whilst I try to have my left foot available its hard after all those years. I never agreed with the peoples who claimed that their auto's excelarated on their own, and couldnt be stopped. The car makers lease tends to ignore the Leasing Contractors code of conduct, or schedule of what 'damage' can be expected under the lease mileage contracted for. Our old VW Polo petrol /manual over revved sometimes, we paid £80+ for the main dealer to spend 5 minutes linking their lap top to the car - they found nothing. When we first got the car the brakes were dreadful, a neighbour had a quick look and told us there was no brake fluid - had the car trasported back. Dealer said they found nothing wrong but wonder of wonders the brake fluid was topped up when we got it. Old fashioned autos used to have a double-width brake pedal for use with either foot (or perhaps both). Is this no longer the case? Thank you to 'Attention Seeker' by AB, Epsom for the hilarious account of their clearly less than hilarious experience. It reminded me very much of Gerard Hoffnung's Bricklayer's tale. So thank you for brightening my sultry morning! However, your statement "I slammed on the brake and put the car into reverse. It leapt backwards..." together with your almost forensic account of your actions throughout, do not lead me to concur with HJ's rather reproachful conclusion, I feel. Assuming you used the same foot to operate the brake and accelerator pedals, how anyone can injudiciously 'accelerate' simply by removing one's foot from the brake pedal, is quite beyond me. Now, if you had been left foot braking and right foot accelerating, as recommended by HJ, then perhaps I would have concluded that you had indeed inadvertently pressed the wrong pedal in carrying out your series of complicated manoeuvres. No the brake pedal is not. It just foolish people who havent the sense to use their left foot or, having converted from manual to auto think their left leg can be chopped off as its no longer useful in such a car. It took me about 30 minutes to get used to left foot braking. It's really not difficult. I have tried left foot braking, but God help my passengers if they expect the same smooth drive I'd give them in a manual or when right foot braking an auto. My left foot has had decades of experience with heavy clutches and it's blood hard to soften the blow that comes when you try to brake but stamp your left foot down hard, like you might on the clutch. How do others manage to change the habits from years of driving? I used to park cars every evening for my dad when I was about 15. (private property). Instead of learning left foot braking, he advised on right foot on the brake. We are talking in the 1970's. We always noted automatic cars jerked when a gear is changed so we always have foot on the brake when parking / manoeuvering cars (with auto boxes). They jerked whether going from forward to reverse or vice versa or forward from one gear to next. With right foot on the brake, you are in control of the car when it jerks and also not possible to inadvertently stomp on the accelerator pedal. Perhaps the symptoms described above is only for torque converter auto boxes or not, don't know as I have not driven DSG type of semi-auto or automated manual. With 8 speeds and 9 speeds torque converter auto boxes even more economical than manual boxes I wouldn't be looking for a DSG box in my next car. Also BMW X3 335 could not be described as bathchairs when it outaccelerates a typical GTi. Many years ago, i had a volvo 240 automatic that did something similar. The tickover speed gradualy got faster and faster, and by the time i found some ware to pull over and stop i was using both feet on the brake pedal. It turned out that the slow running adjusment screw on the carburettor had become unlocked and was increasing the revs. Now with advancing age and infirmity, i will be forced to go back to an automatic as my left leg no longer has the strength to operate a clutch pedal. This will mean iwon't be able to left foot brake, i suppose i will have to make shure that the car i chose has a conventional handbrake no one of these foot operated ones! There is a big difference between manoeuvring a vehicle with a DSG auto box &/or a robotic and a torque converter auto. The torque converter auto is far superior as it is quite easy to hold it on the foot brake and gently ease off to slowly move around. With a DSG or robotic if you do that too much you can smell the clutch(s) burning especially on a hill. My advice is only buy a car with a torque converter auto. DM, Preston, is right to question safety on misnamed 'smart motorways'. Once the breakdown has been spotted by the opertor all is fine, yes the signs are switched on and red X's appear over the lane in question, which a hell of a lot of drivers ignore completely, but what happens before that perfect response gets going. About 4 or possibly 5 separate times over the past few years i have come across cars stopped with no warnings whatsoever in the west mids section of M6/M42 presumably broken down but one amusing case where a female was standing beside the rear door hitting someone or something inside the car! All times when i was in my lorry at my usual cruising speed of 53mph or less, but it is quite disconcerting how quickly you close on a vehicle you don't expect to see stopped even at that speed. On the elevated sections where are the passengers from the stricken vehicle supposed to hide, safe ground being some 60ft below the barrier. Thankfully, the Northamptonshire stretch of smart motorway is now up and running, lovely, all four lanes running, no hard shoulder and no street lights, i use it almost every working day, won't that be fun when you break down with electrical failure (no lights at all) in the wee small hours in total darkness. I drive a TC Auto which tends to surge a little, certainly not even close to the 20 mph example given in one comment but enough to make a finely balanced reversing manoeuvre stand out as being a little more delicate in comparison to a Manual (I drive both Auto and Manual cars daily in relation to my employment). I find pressing the 'Eco' Button dulls down the response from the throttle giving a much finer control which then removes the problem, using the same button also helps when setting off in heavy snow!. This is pretty much the only time anything 'green' on a car has been of any actual use!. The only negative is remembering to engage the Eco button when reversing, but still more preferable to trying to program myself to left foot brake during the early part of the day in an Auto, when in a few hours i'll be back in a Manual!. I have driven autos and manuals over 30 years and never left foot braked - and never had a problem of unexplained acceleration. I am now an old fluffer/duffer and have been for nearly a decade and still never had that problem. I have never met anyone who had it.. Except my uncle who had Parkinsons and crashed his Daimler 2.5 saloon (Mk2 Jag with Daimler engine) through his garage walls into the garden through accelerating rather than braking.